PETALING JAYA: Twenty companies have collected request for proposal (RFP) documents to partner Malaysia Airports Holdings Bhd (MAHB) to develop 50 acres near KLIA2 in Sepang. Due to the large number and requests from the companies interested to be developers, MAHB has extended the closing date of the RFP to July 4 from June 1. MAHB posted the RFP notice on its website on March 31 and documents were available for collection from April 4 onwards. The airport operator had also briefed interested parties on its requirements in April. The RFP is for the privatisation of the 50-acre commercial development that would comprise premium factory outlets centre, a food and beverage centre and an auto city. Since it covers a big area, several parties may be selected. “The 50 acres form the first phase of the entire development. We will provide the land (and partner parties that will develop the land). We have completed levelling the land recently,'' MAHB managing director Tan Sri Bashir Ahmad told StarBiz in an interview. The 50 acres is part of the 6,750-acre landbank that is earmarked for development around KLIA and this development dubbed KLIA Aeropolis falls under the wholesale and retail initiative under the NKEA. It would transform KLIA into a diversified airport city, providing significant opportunities including employment, leisure and tourism. KLIA2 is 1.5km from the KL International Airport (KLIA) main terminal building. KLIA2 is the new low cost carrier terminal (LCCT) that is under construction and it would be able to cater up to 30 million passengers. MAHB is asking the Government for an extension on the lease of the land identified for development from the current 25 years to 60 years. After the RFPs are in, the evaluation process will begin and the key would be to select the right partner and bring in appropriate brands and retailers. “(A lot of it is about) selling the right product and getting the model right from the onset. It is not (merely) about opening shops but the right shops, the right products and location,'' he said. The targeted completion date of the 50-acre development is in 2013. The commercial development has been identified as the key driver to help the airport operator boost revenue in the long term while it maintains competitive aviation charges for airlines and passengers. In its 2010 annual report, MAHB quoted Datamonitor Retail as saying that the global airport retail market was expected to grow by 60% in 2015 and be worth US$44.1bil. In 2010, a 8.4% global growth rate for airport retailers was fuelled by the Asia Pacific, Middle East and African regions. MAHB is positioning itself to take advantage of the opportunity and thus the greater focus on its commercial business. “We will get rental income and royalties from this land venture,'' Bashir said, but did not elaborate as the RFPs are not in yet. Over the past year, MAHB has increased retail space in both the LCCT and KLIA substantially. There is equal contribution from both commercial and aeronautical businesses to revenues but the plan is to drive commercial revenue contribution to reach 60% by 2014. MAHB hopes to also more than double revenues to RM3.2bil by the same time and expects its earnings before interest, tax and amortisation (EBITDA) to hit RM1bil by then. For the financial year ended Dec 31, 2010, MAHB recorded RM1.8bil in revenues, RM378mil in net profit and EBIDTA stood at RM706mil. The company is scheduled to announce its first quarter results tomorrow. 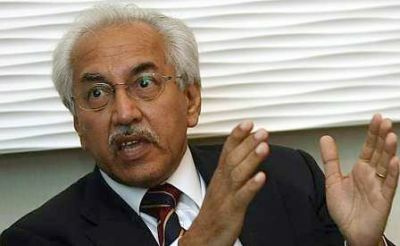 The full year estimates for 2011 by an analyst are that revenues should increase to RM1.9bil and net profit to RM472mil while EBIDTA should reach RM783mil. There will be other phases in the development of KLIA Aeropolis which would include a commercial business district which houses office parks, retail/commercial centres, an auto mall, exposition/convention centre, medical centre, training centre complex and service apartments. There are also plans to build golf courses, a boutique hotel and a theme park as well as agro-tourism tracts of land. Last year, all 39 airports operated and managed by MAHB nationwide handled a total of 57.8 million passengers and Bashir said he would not be surprised if they manage 60 million this year.